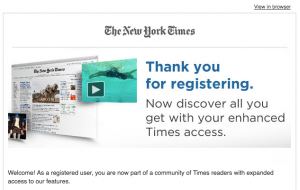 Did you know you have access to a free subscription of the New York Times at Chicago-Kent? 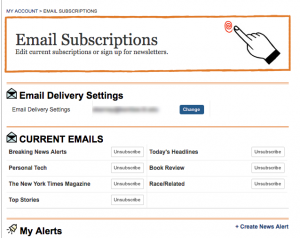 Did you know you can customize what news you get via email? 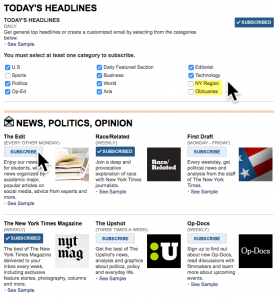 In an era of information overload, personalized news alerts and email newsletters can be very helpful. Get relevant, accurate updates on your terms! First, if you haven’t already set up your personal subscription, you’ll need to do so as we’ve posted on this blog before. Important Reminder: this subscription link only works ON CAMPUS with your kentlaw email (that’s how they verify your connection to the school). Once you’ve signed up for your personal account through the school, you can use it via the web or apps, though it won’t include specialized sections like the crossword*. 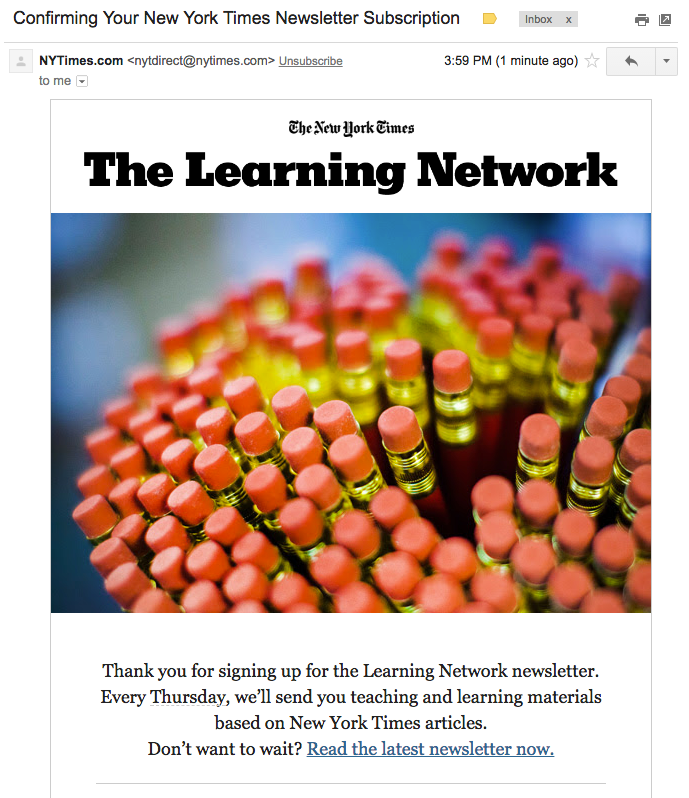 The NYTimes.com newsletters link is available whether or not you’re a subscriber – but you may not be able to fully access every article if you don’t have an account set up. See the full range of weekly and monthly newsletters that you can add by topic (and see samples if you want to confirm the content is useful). How many emails are you getting? Does not include e-reader editions, Premium Crosswords, Times Insider or The New York Times Crosswords apps. 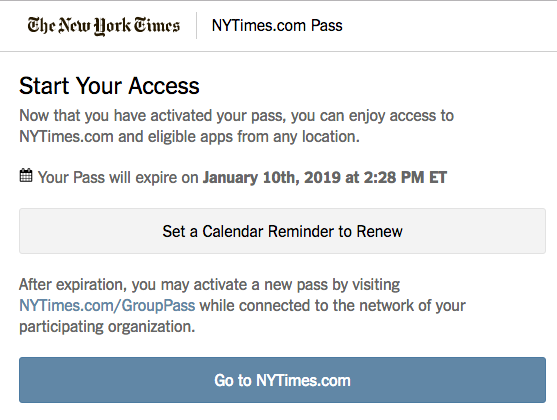 NYTimes apps are not supported on all devices. Access to archived articles within the date range 1923-1980 is limited. You must have a valid email address from a participating organization. Other restrictions may apply. This entry was posted in Library Resources, Newspapers and tagged library collection, news alerts. Bookmark the permalink.